We kicked off the session with a brief introduction of Mbewu and ourselves as members of the group. 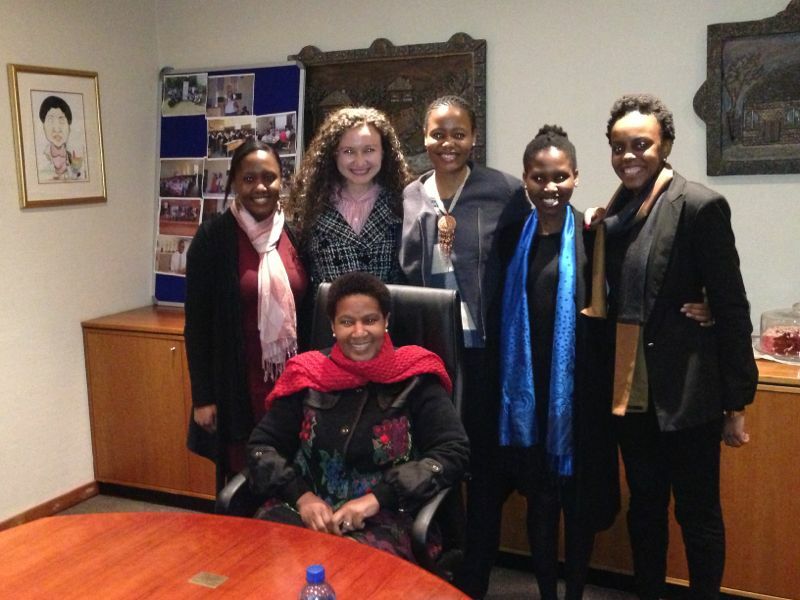 Having been a Teacher, Lecturer, Deputy Minister, Minister and Deputy President, Phumzile Mlambo-Ngcuka shared with us her background, her path to success and where she is today. She is currently involved in the Umlambo Foundation which she founded in 2008 after she moved away from politics. The purpose of the Foundation is to contribute to the professional development of principals through coaching and mentorship programs with the aim to have the ability to lead schools in impoverished areas by producing learners to have the ability to beat poverty through education. She is also currently finalising her PhD which she enrolled with through Warwick University in the UK. Know what you want and be able to identify who offers it. Make communication a hobby through networking (e.g. professional bodies) and make yourself heard in forums. Expose yourself to a network of well-connected individuals. You get to where you get to with someone who believed in you and who stretched you. Tag along to meetings with the right people. You may question why you are there at that point in time, but there is a reason why they wanted you to attend. Find a mentor closest to the field you want to be in and ensure you give feedback to the mentor on a regular basis. Always be mindful that success is built on collectives. Success requires inter-dependency. Create a path that has never been walked by leaving your own footprint. Be able to raise the bar. It is extremely important that you lift others as you climb to the top, as the top can be lonely if you are by yourself. Don’t forget to create memories for yourself personally. If you have to decide between work or personal life, choose personal life (in moderation). Aim for your pinnacle by your 30’s. Mlambo-Ngcuka would like to leave two more things as a legacy before she retires. She would like to be a part of something significant within Education and empowering Women.